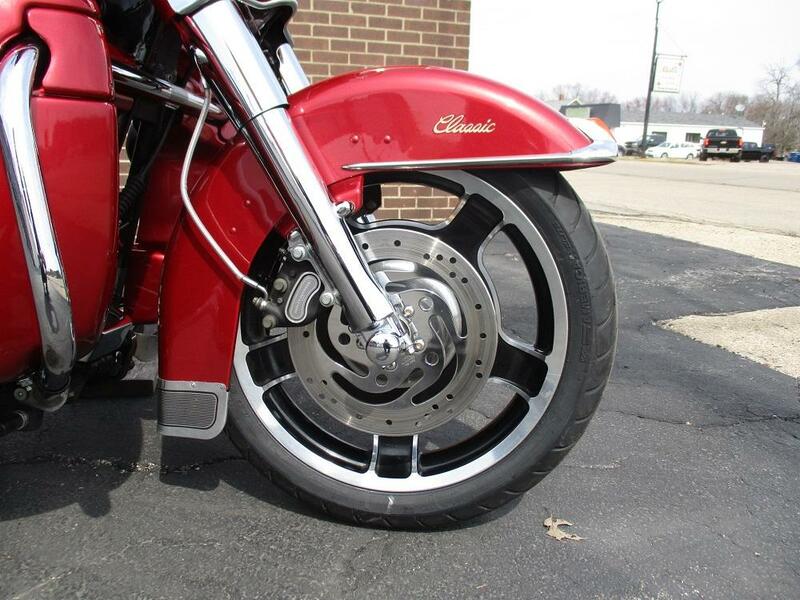 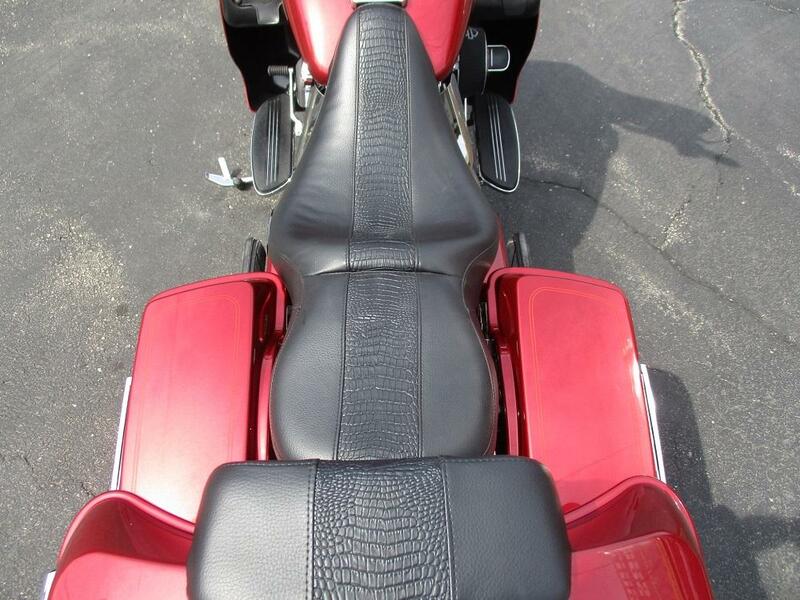 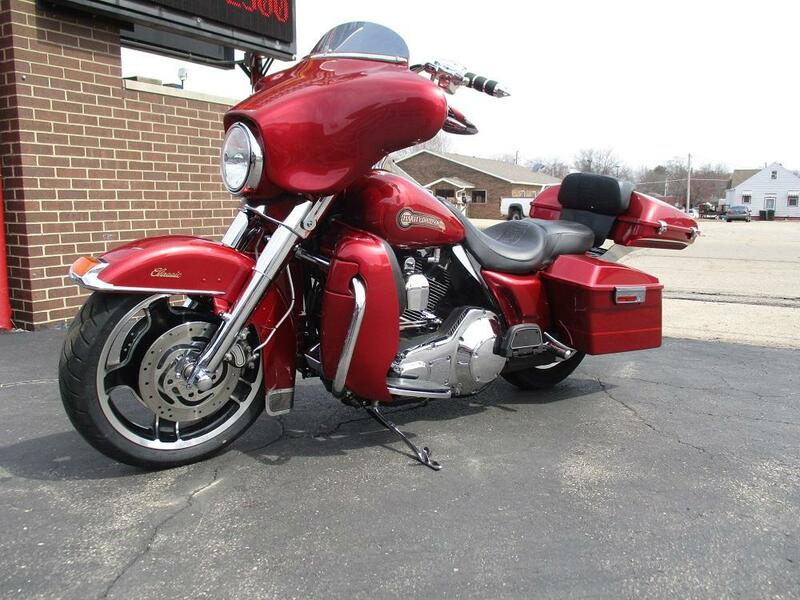 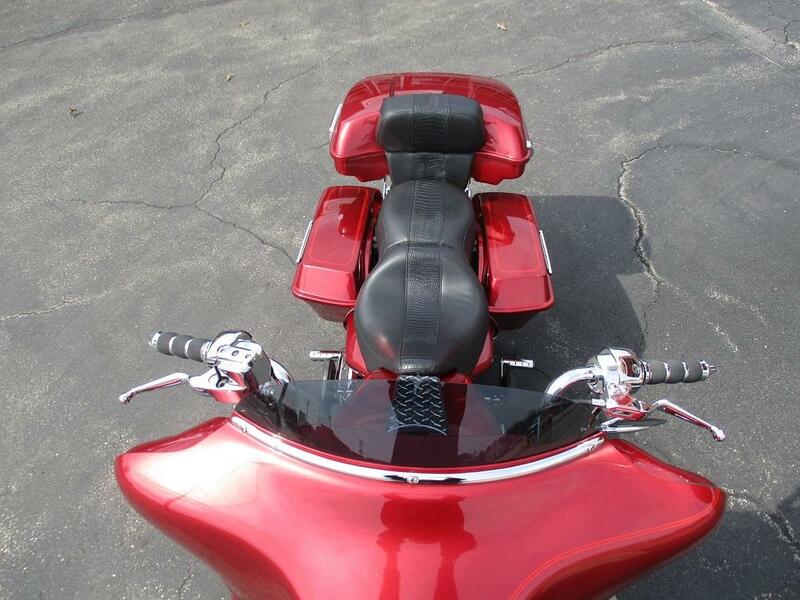 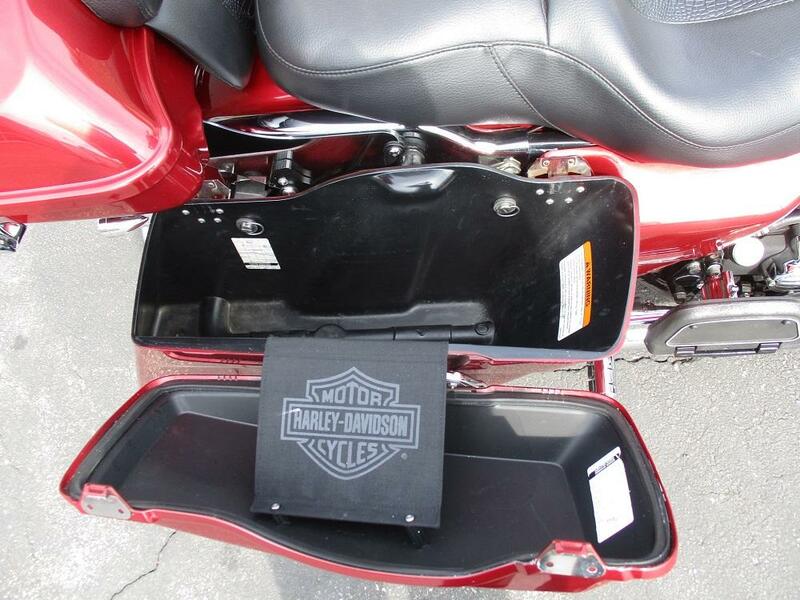 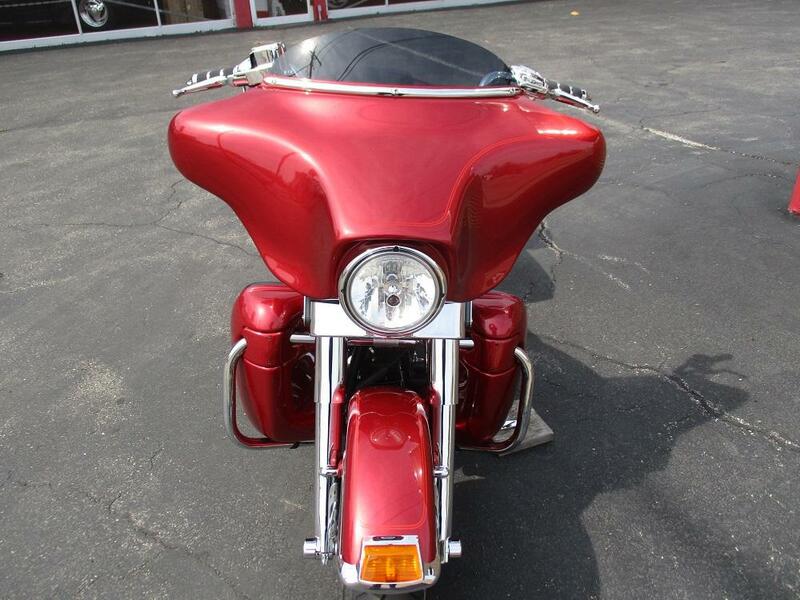 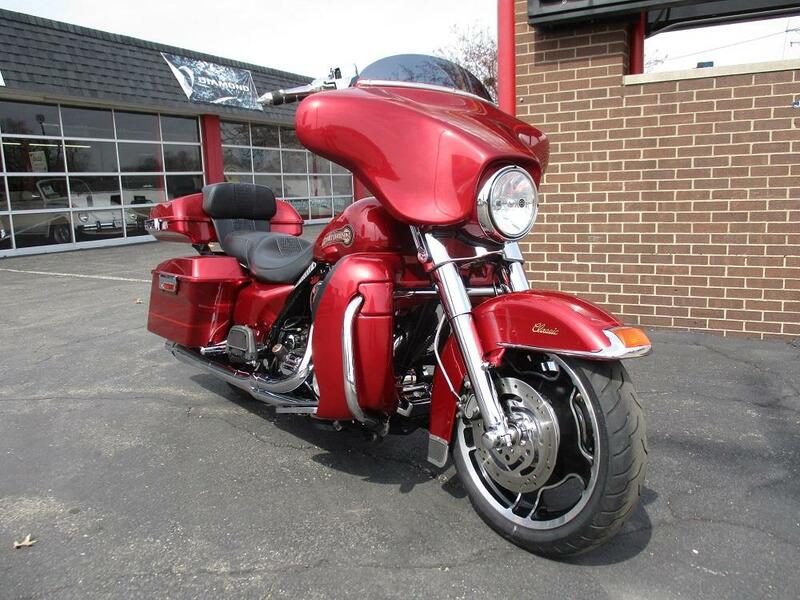 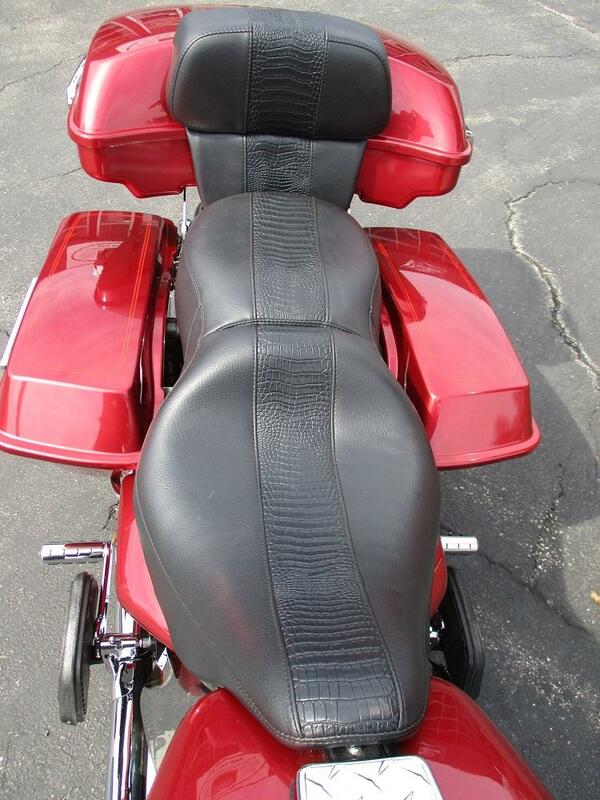 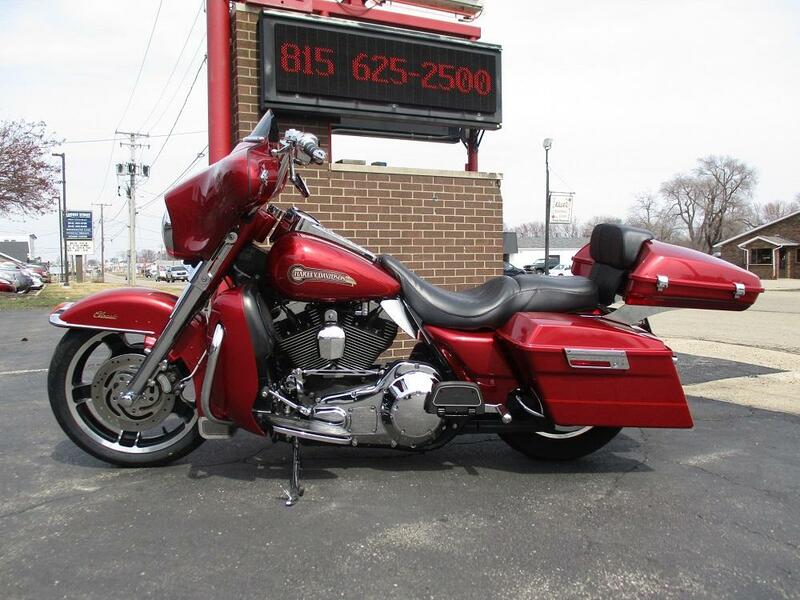 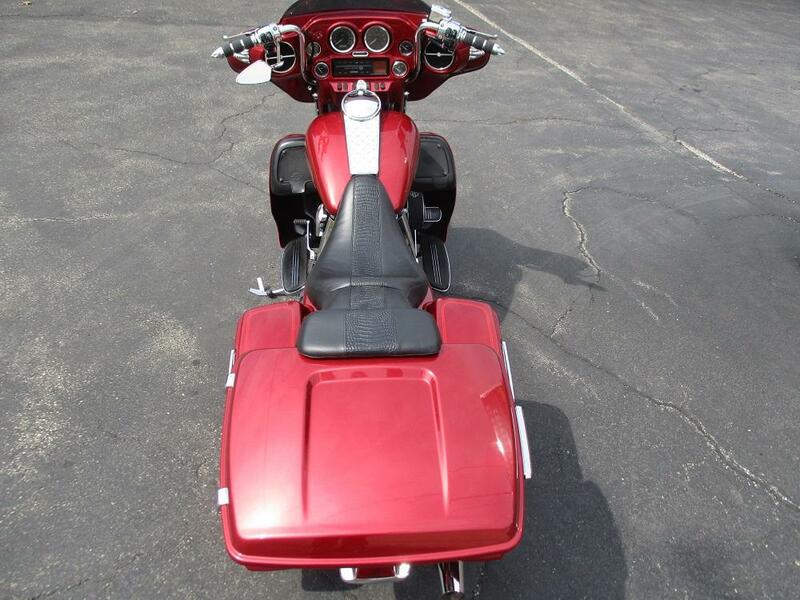 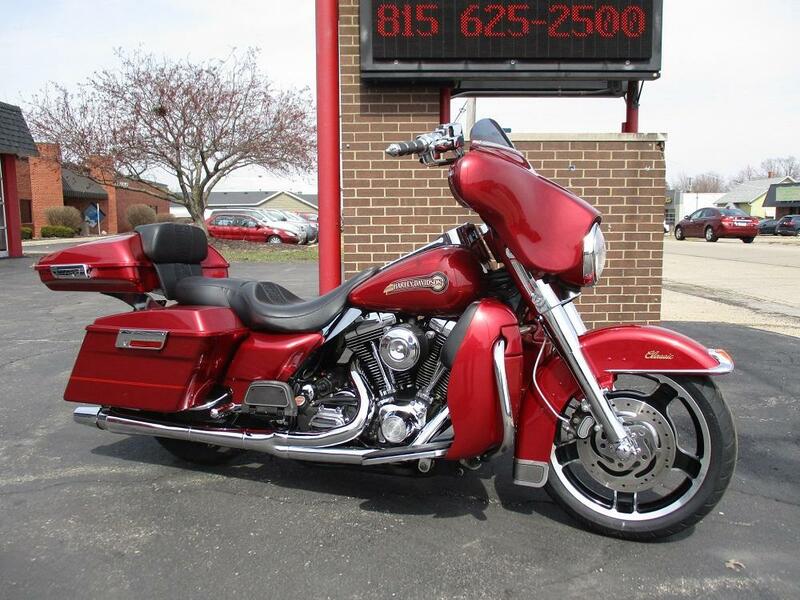 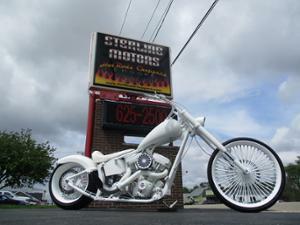 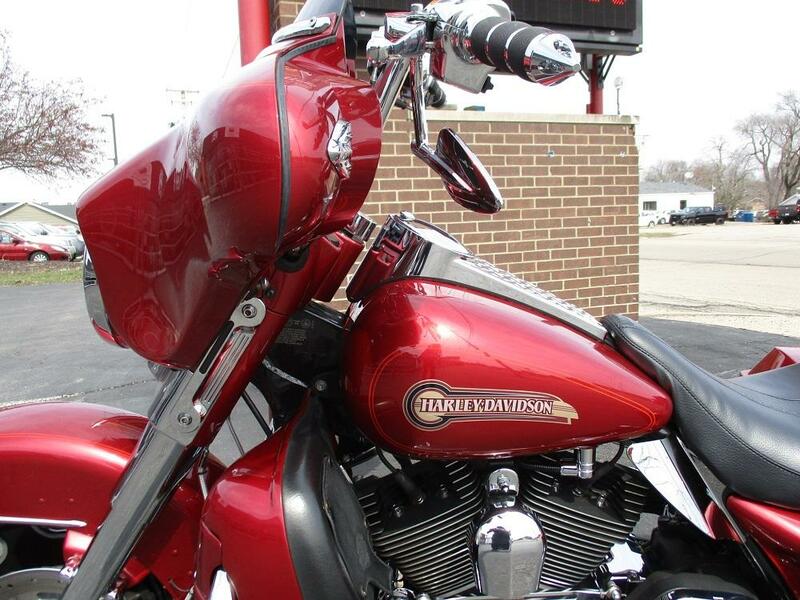 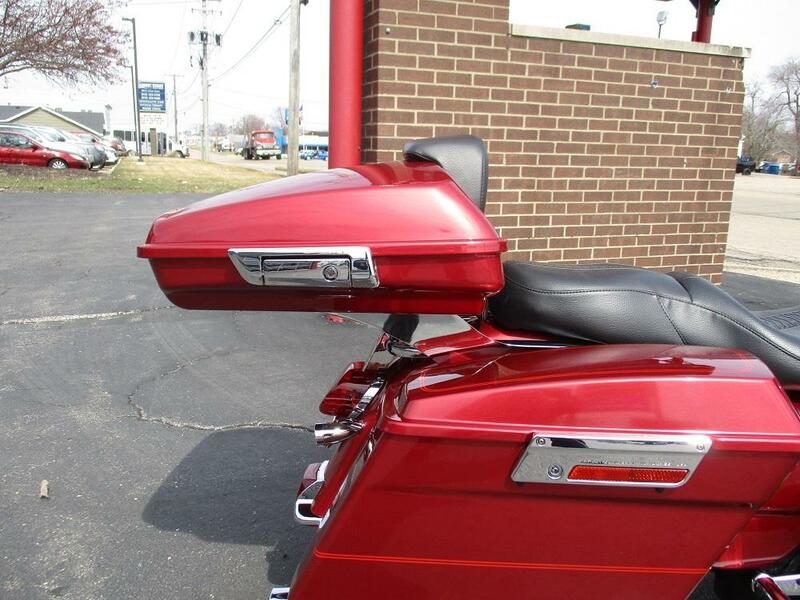 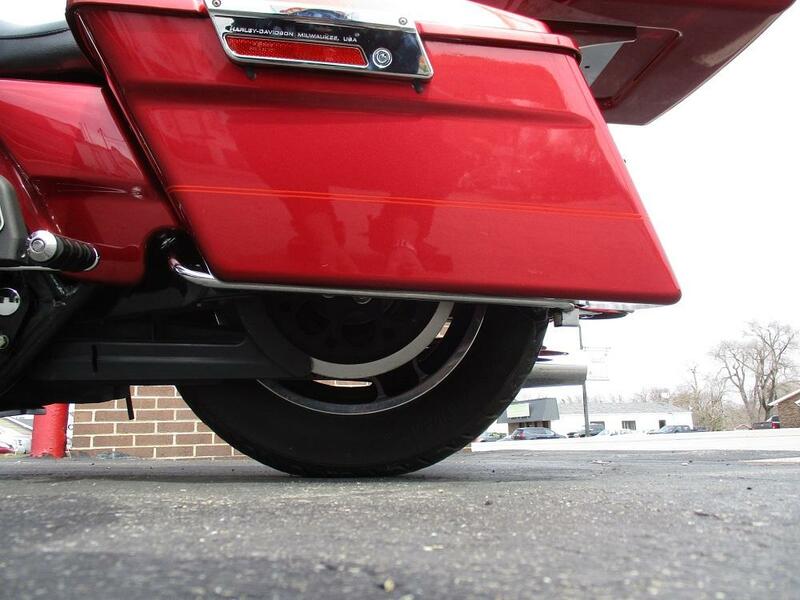 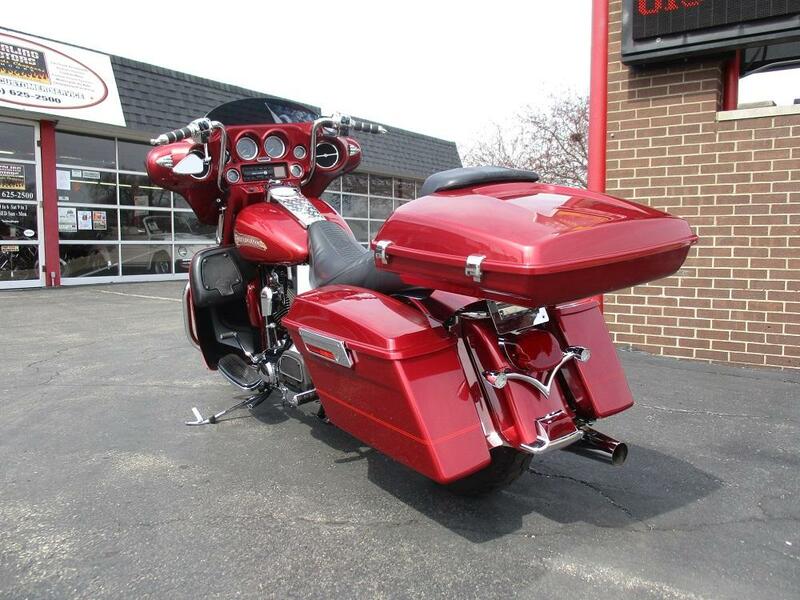 This sweet bagger started as a bone stock FLHTCi with 63K miles last fall. 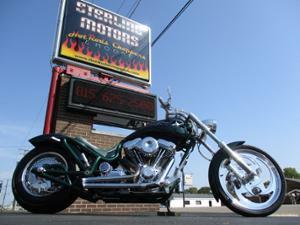 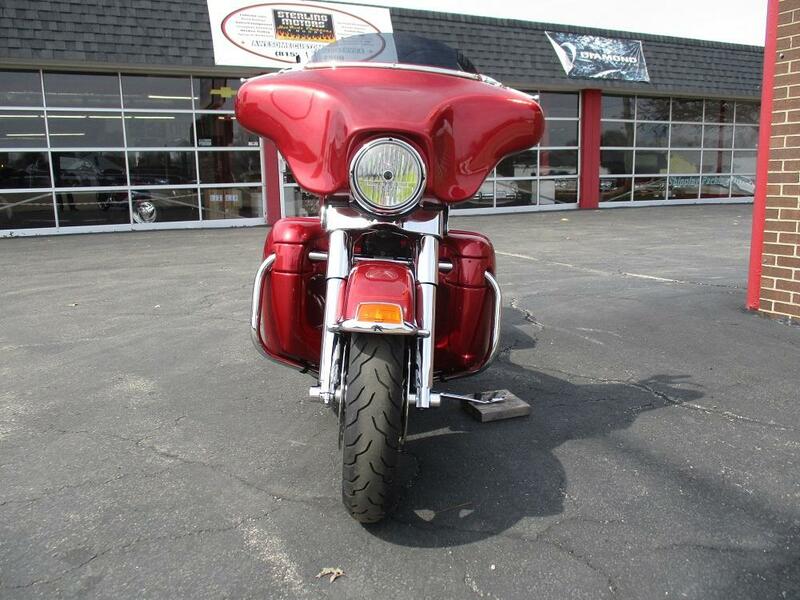 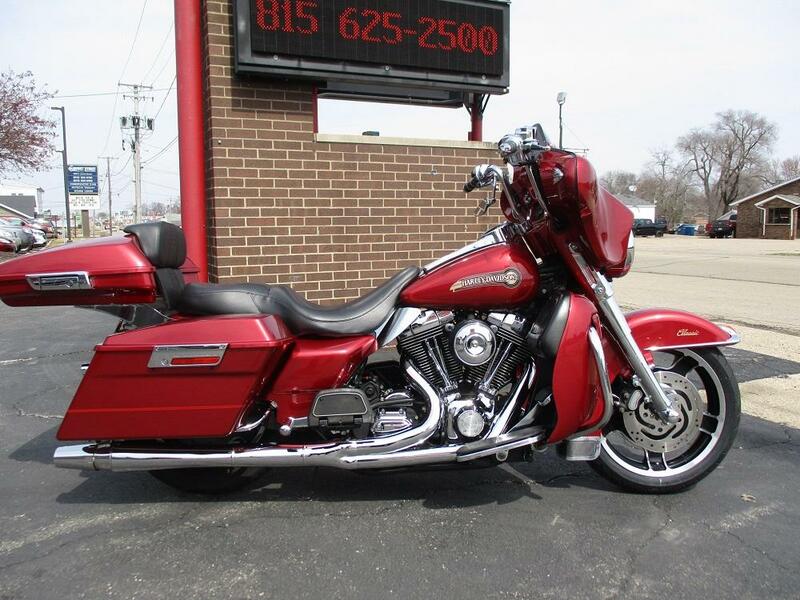 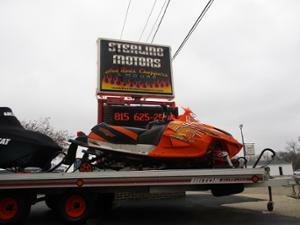 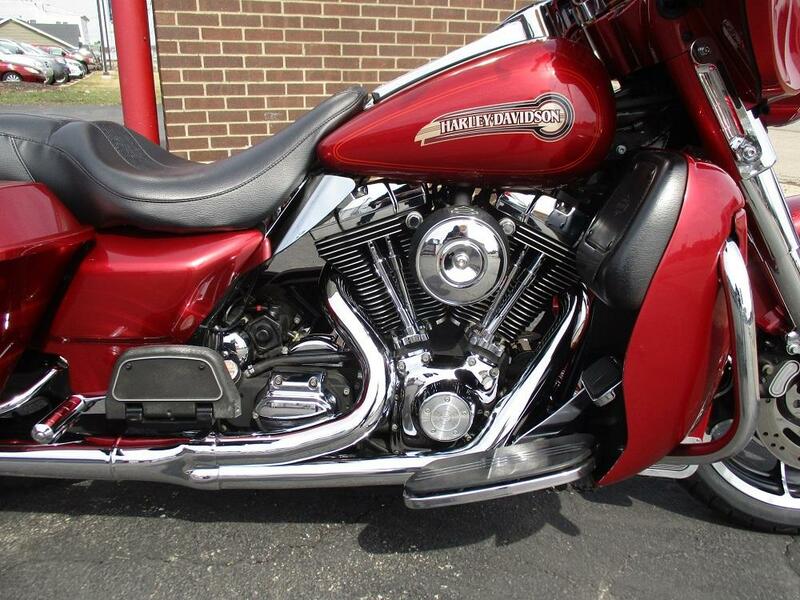 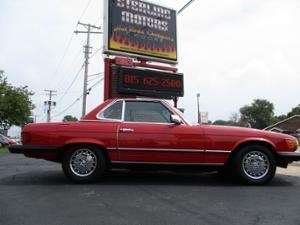 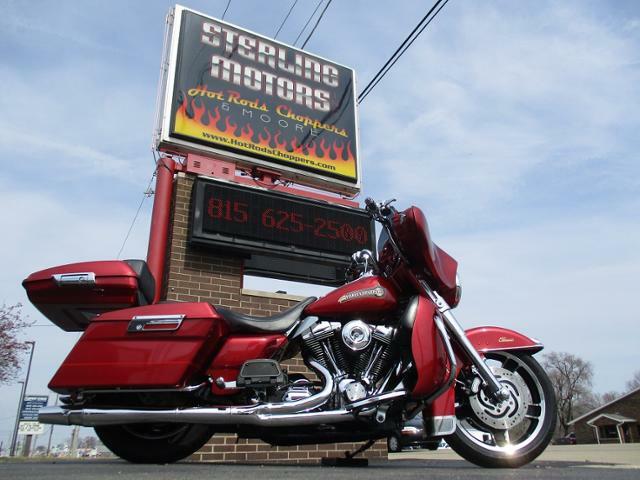 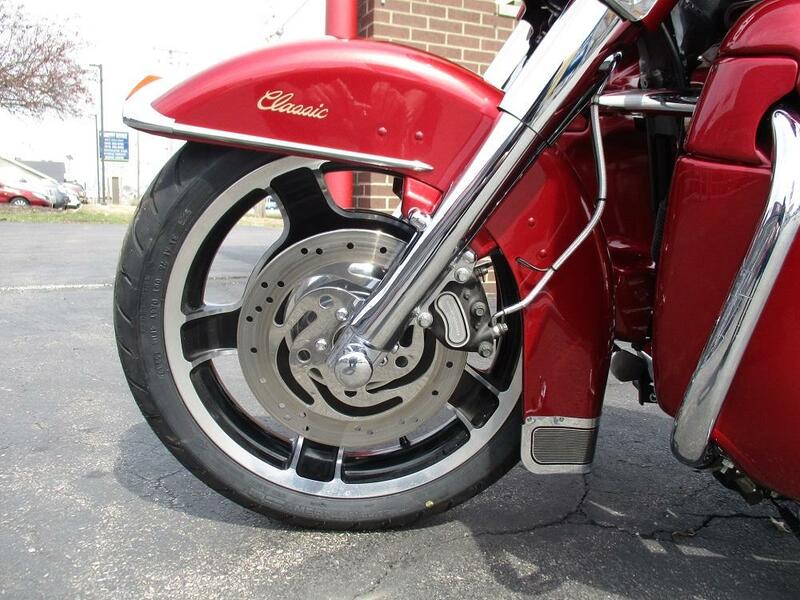 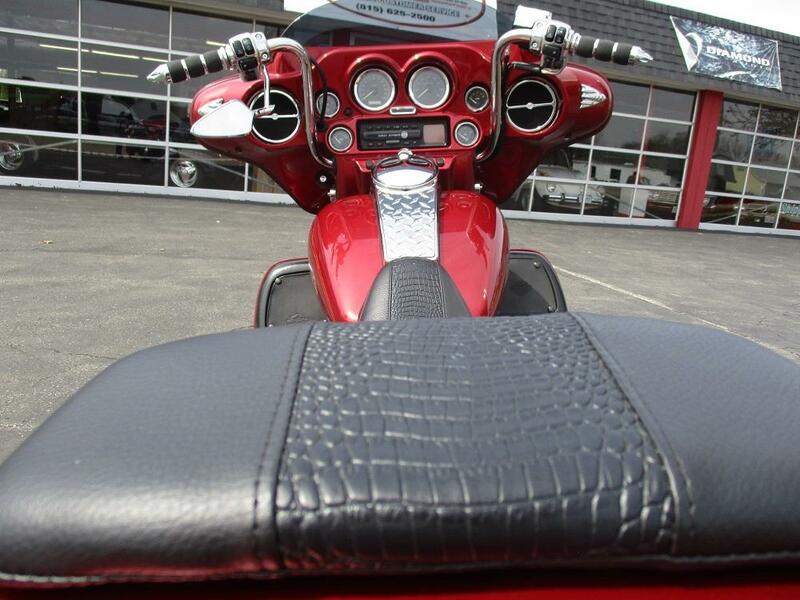 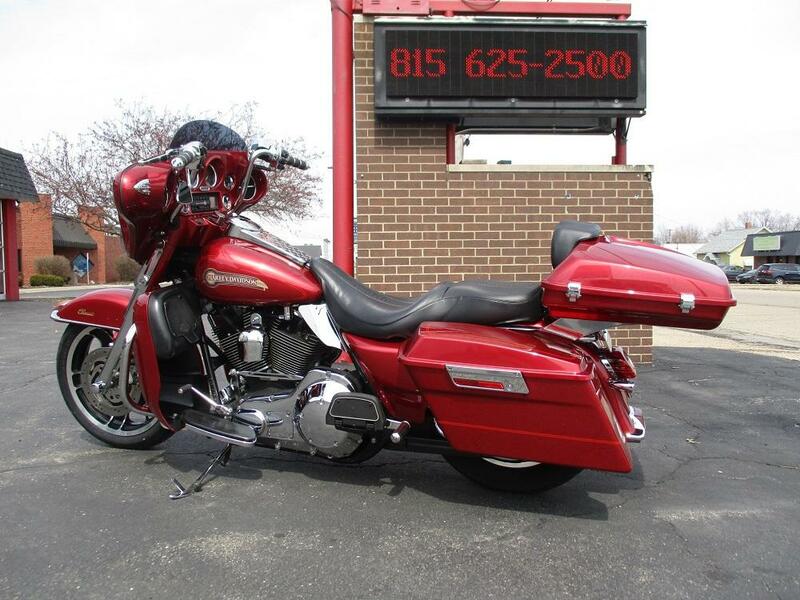 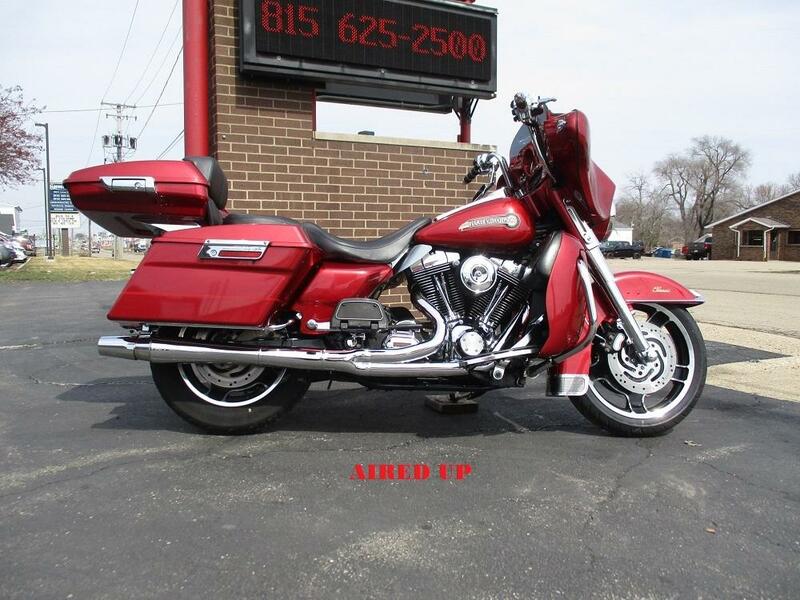 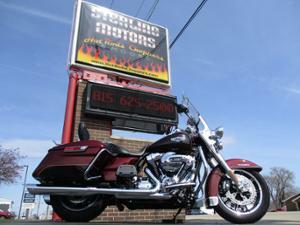 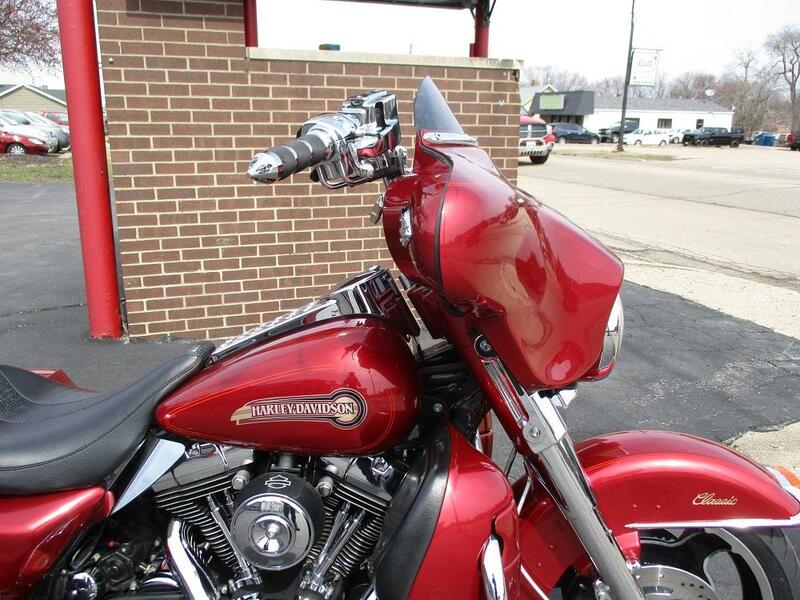 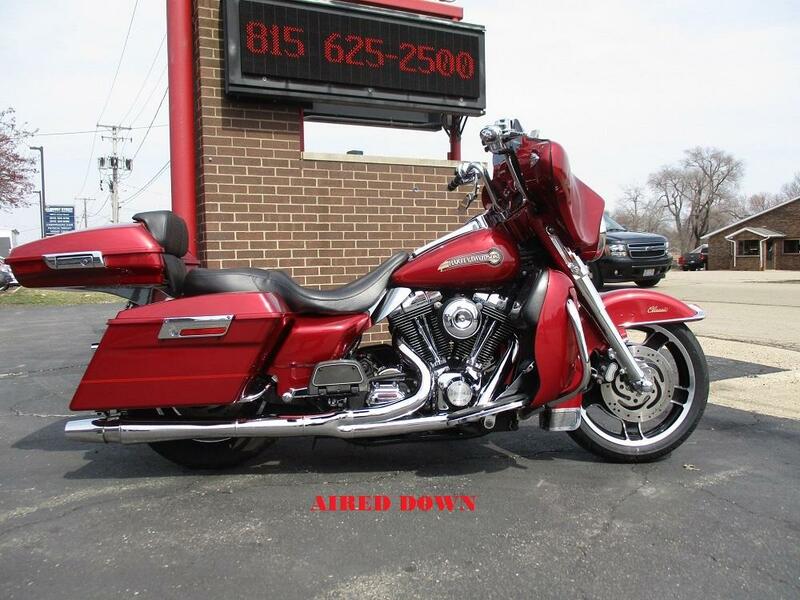 Over the course of the winter our “Go-to-Guy” at Fortune Cycle gave this beauty a new lease on life. 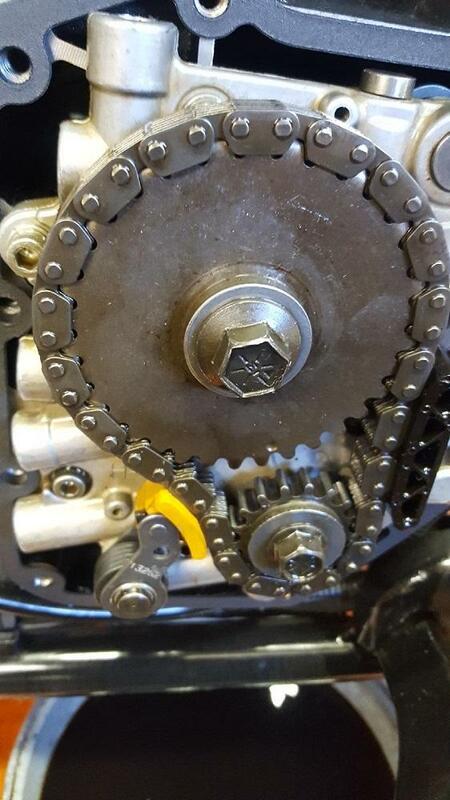 The engine was completely rebuilt which included new Andrews 26 cams, new cam bearings, a new cam chain tensioner with guide, new Screamin’ Eagle adjustable push rods and lifters. 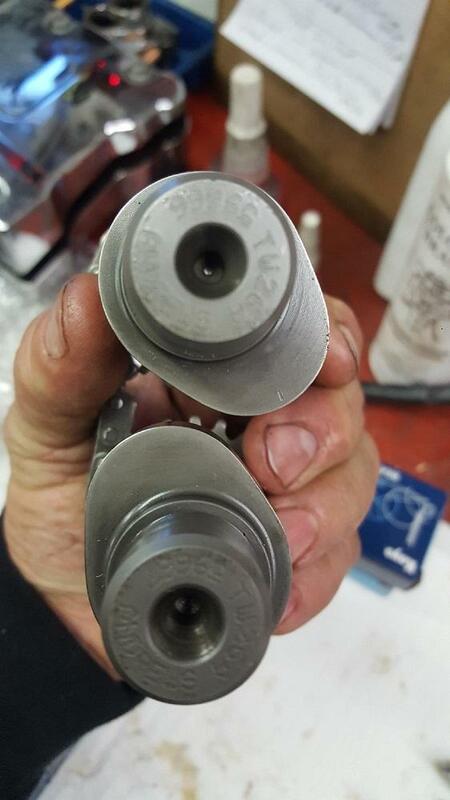 Of course all gaskets, fluids and filters are new as well and it sounds just plain nasty ripping through its new 2 into 1 Thunder Header. 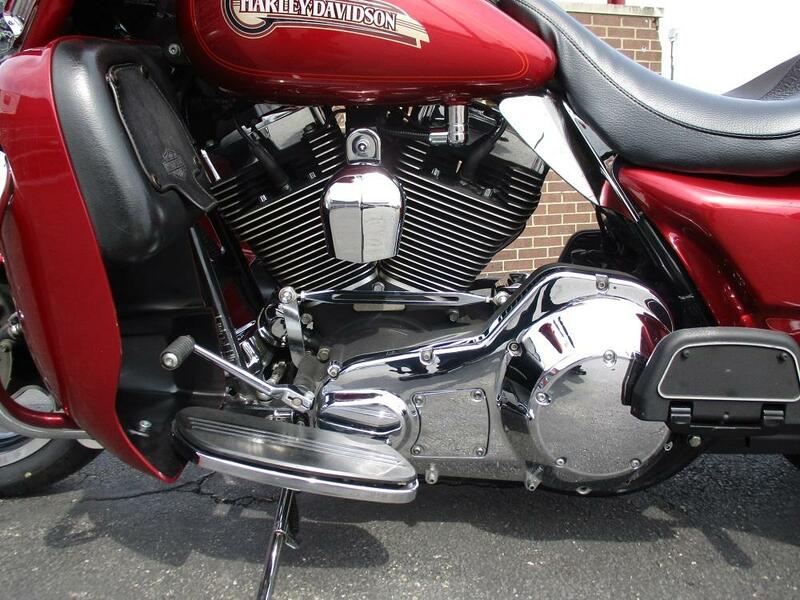 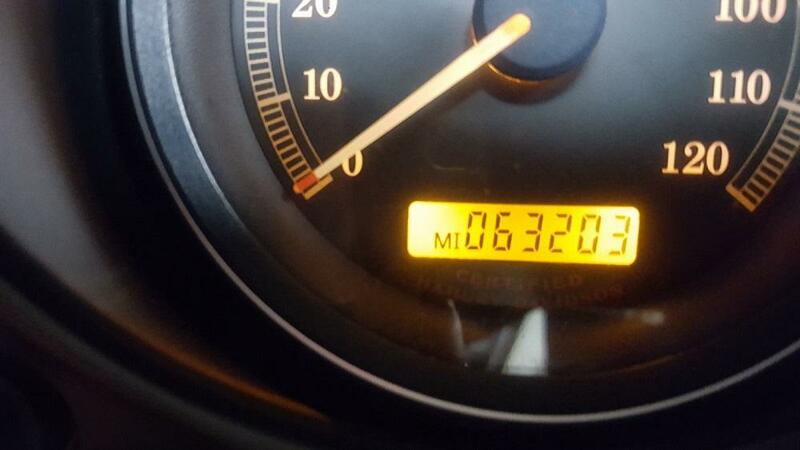 The battery, cables, plug, plug wires, brakes and tires are all new too. 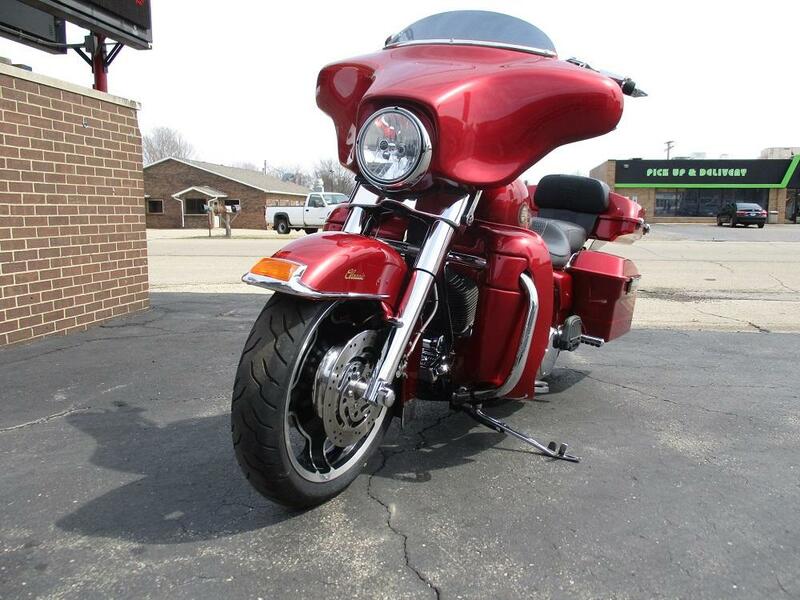 It has been upgraded with a quick release low profile tour pak and lower fairings all of which were painted to match the rest of the bike including the inner fairing. 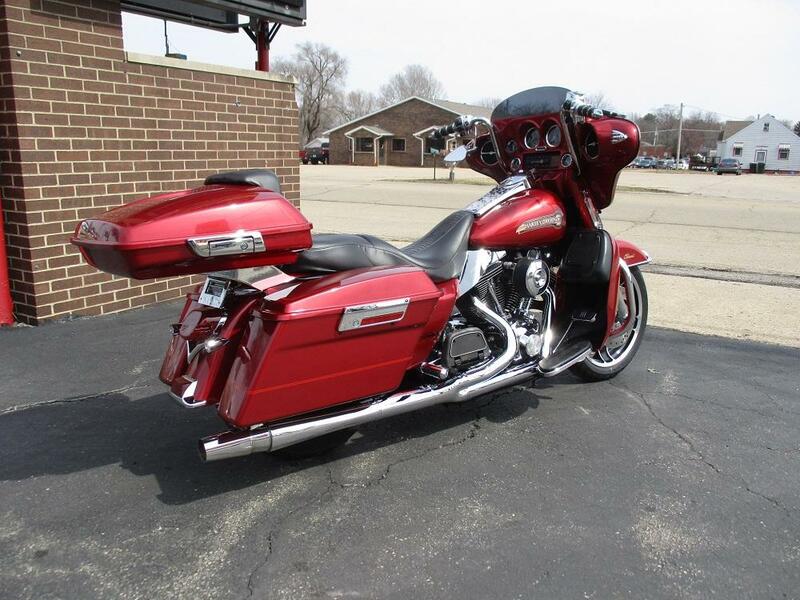 It now rides on a set of Street Glide rims front and rear with a custom built seat with matching backrest and a low profile smoked windshield giving it the Street Glide look. 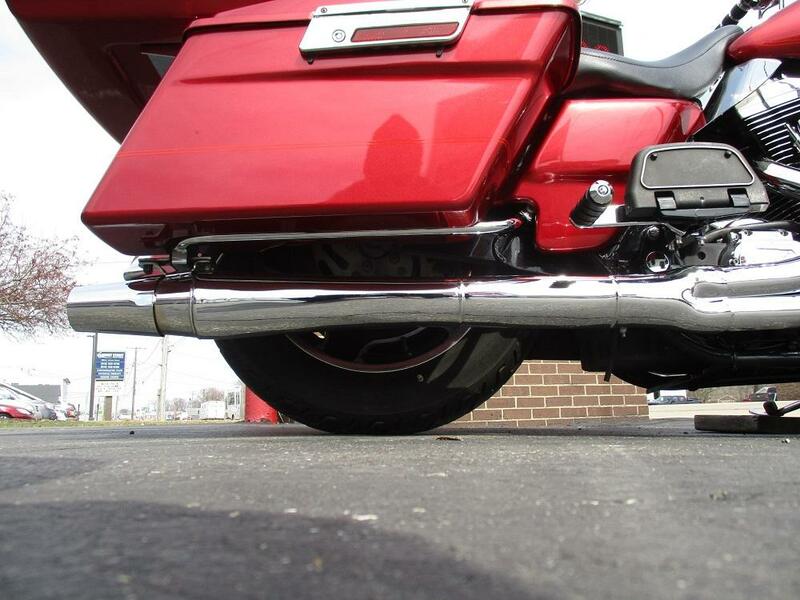 There is a nice list of chrome upgrades which include the 12” mini apes, the front end, the front axle covers, the voltage regulator cover, the windshield trim, the gauge bezels, the speaker trim rings, the diamond plate dash, the push-to-lock gas cap, the hand controls housings, the adjustable passenger pegs, the grips, the custom shift rod, the rear filler panels and it has new polished front rotors. 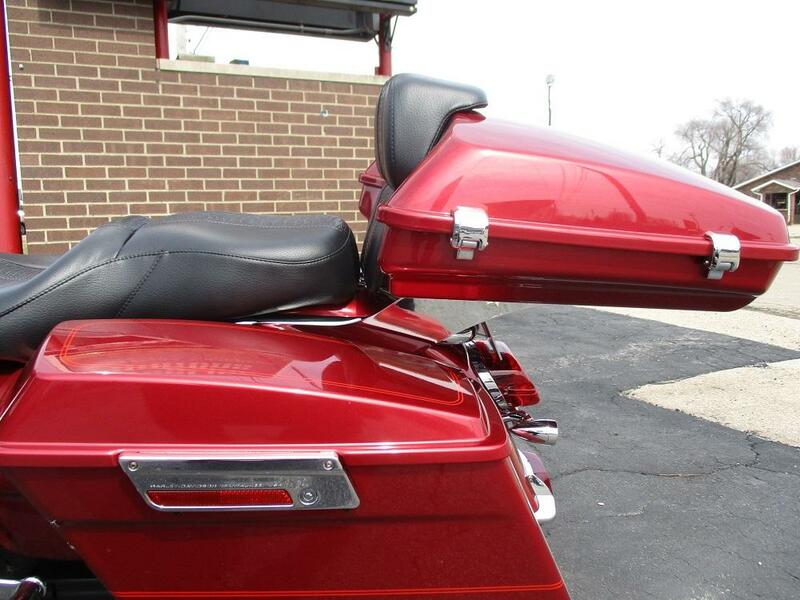 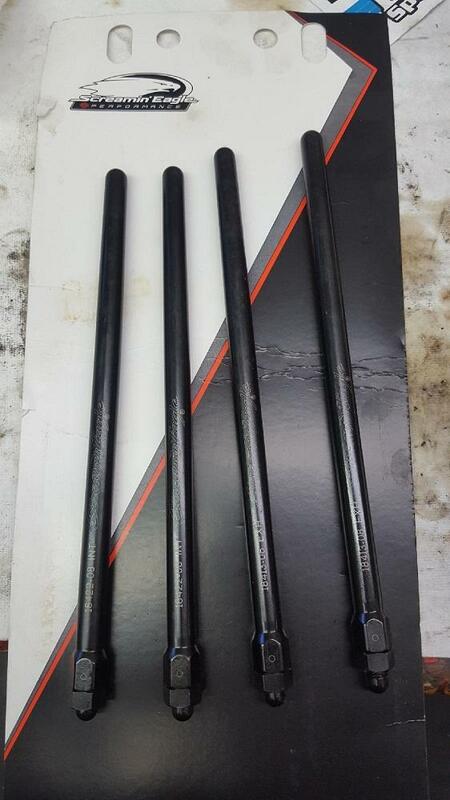 The head light, driving lamps, blinkers and tail light are all LED and brand new. 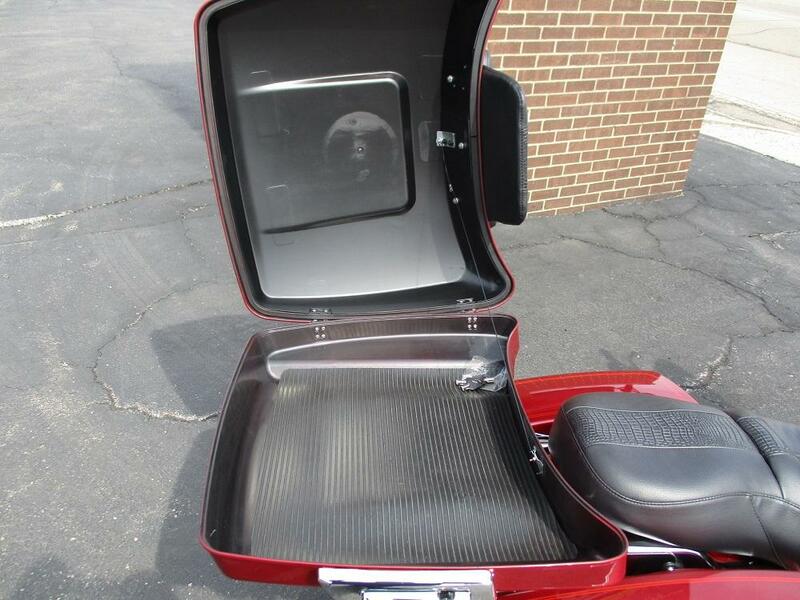 You will also appreciate the rear air ride which gives it a ride better than stock as well as the Rockford Fosgate Punch 300 watt amp and 6.5” speakers. 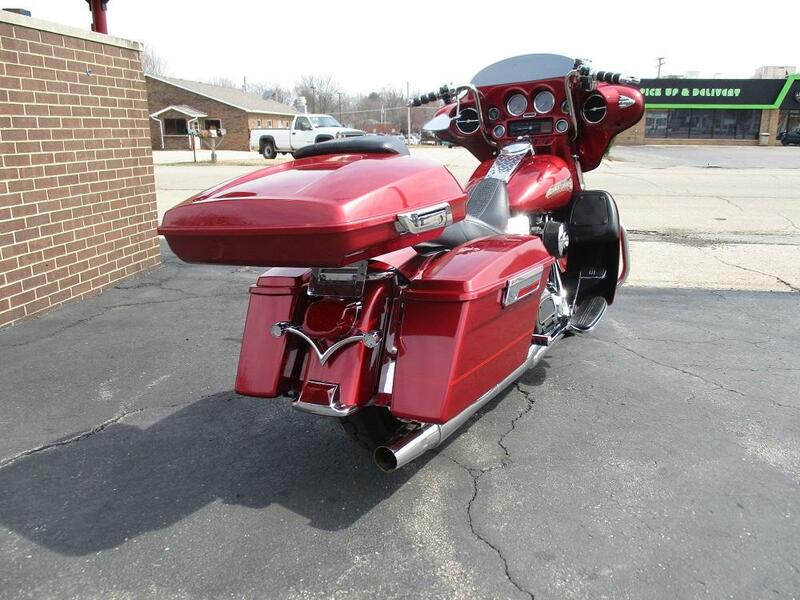 All said and done over $5,000 was spent on parts alone to recreate this beauty which didn’t include over a 100 hours in labor. 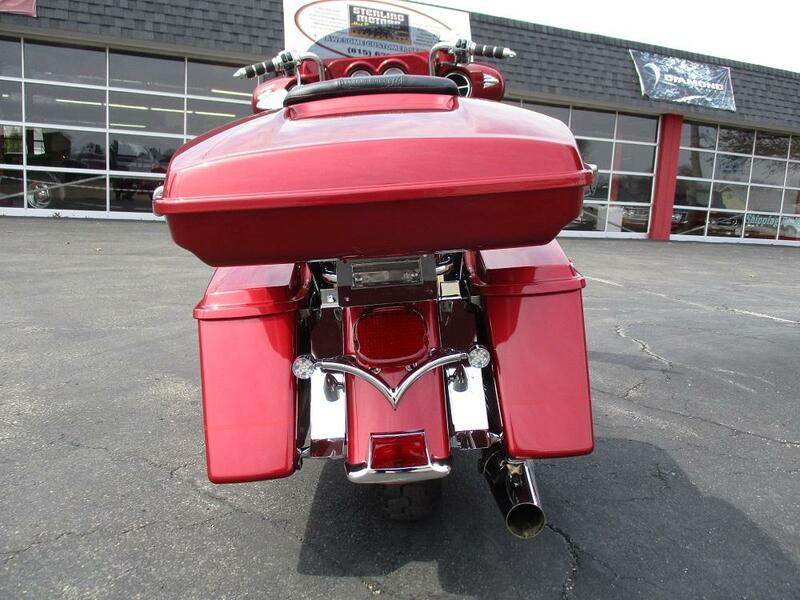 If you like what you see you better move quickly as you could not recreate this bike for anything close to what we are asking for it!